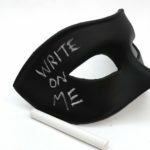 This fun black Venetian mask has been painted in a chalkboard paint so you can write/draw on it. 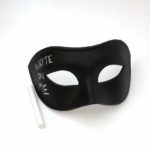 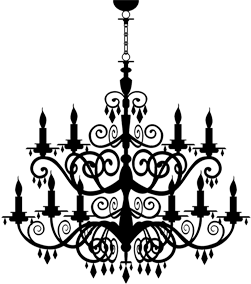 Perfect for masked ball events or just for fun! 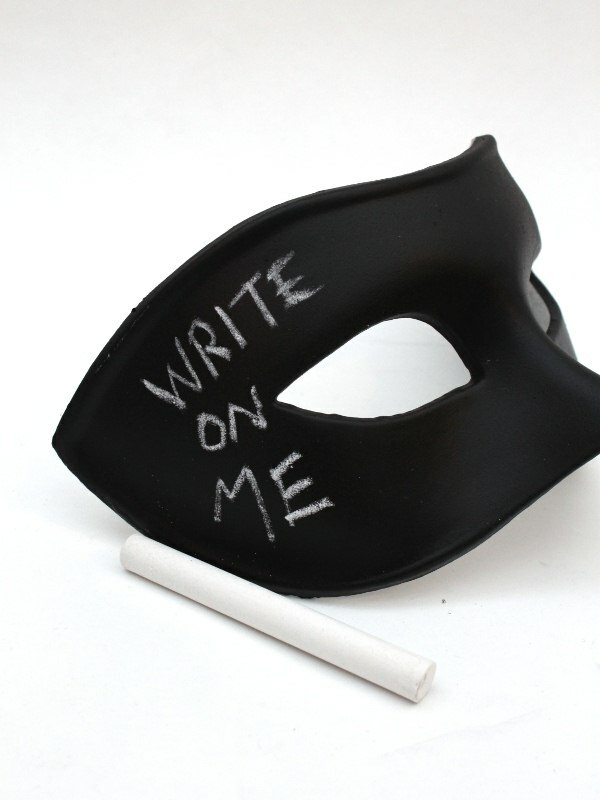 Supplied with a stick of chalk.